SAN JOSE, Calif. (KGO) -- For the third time in a week, San Jose State is investigating a sexual battery. The latest happened in a classroom building. All three incidents took place in broad daylight in the afternoon. The most recent one took place at Duncan Hall. Police say the female victim was in a stairwell. The suspect reportedly sexually battered her then took off running up the stairs. He's described as a man in his 20s with black spikey hair, wearing a dark gray hooded sweatshirt, dark pants and a navy blue backpack. 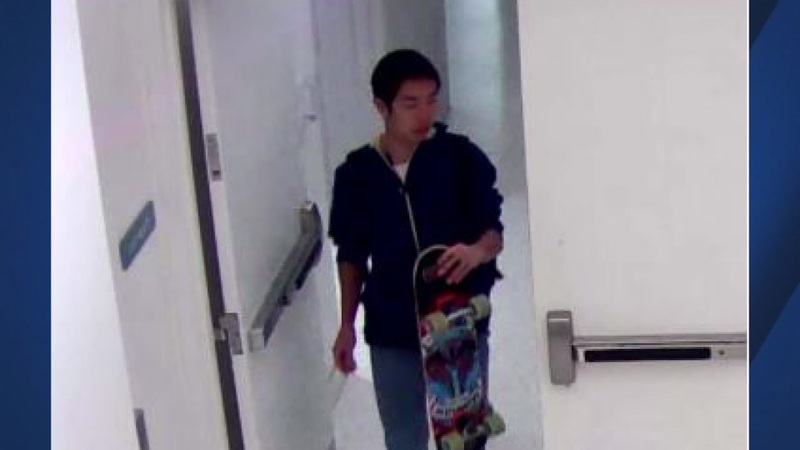 Just two days before, on Monday, another incident occurred that's being classified as a sexual battery and police released surveillance photos of the suspect. He followed the female victim into the student union and sexually battered the woman. Police say the two incidents do not appear to be connected. A third sexual battery was reported on November 30. ABC7 News' media partner, the Mercury News, says a woman told police she was assaulted by a man while walking down the northeast stairs of Sweeney Hall. University police officers are asking for tips. Students can give them a call on the blue light phones all across campus.